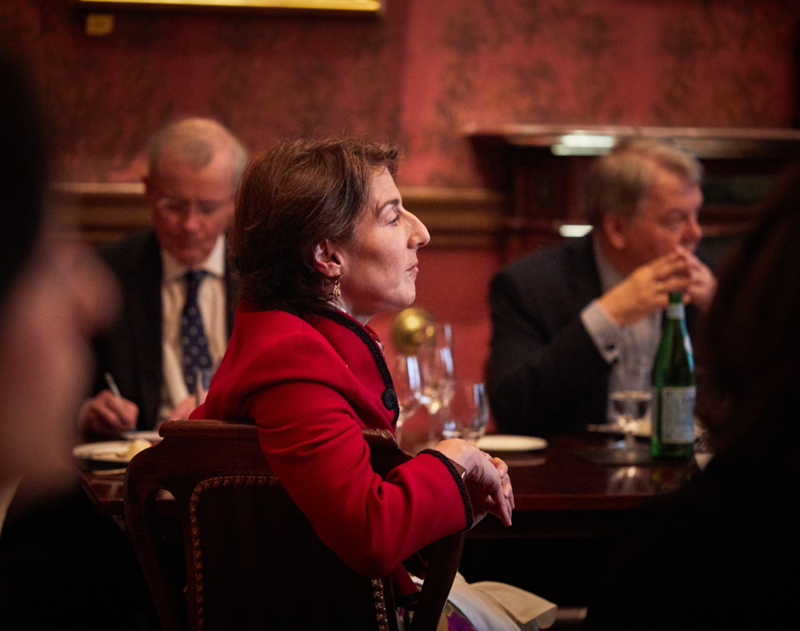 The Club of Three held a lunchtime discussion on Brexit with Sir Mike Rake and some 30 senior figures from business and the policy field from France, Germany and the UK just days before the expiry of Britain’s then 12 April deadline. 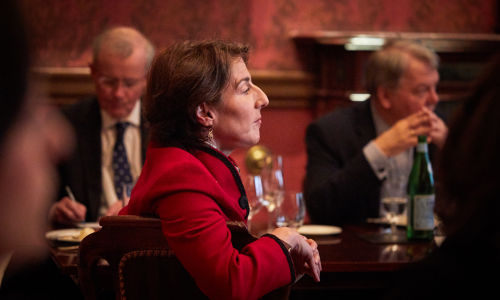 The meeting, which took place at the Garrick Club, was the fifth “fireside chat” organised by our Franco-German-British leadership initiative on this topic since the launch of the 2016 EU referendum campaign. 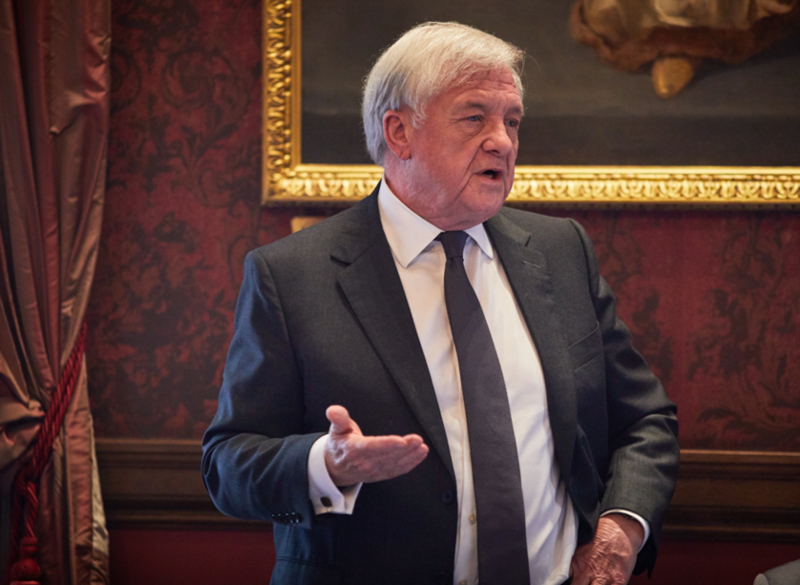 Sir Mike is one of Britain’s most senior business leaders. 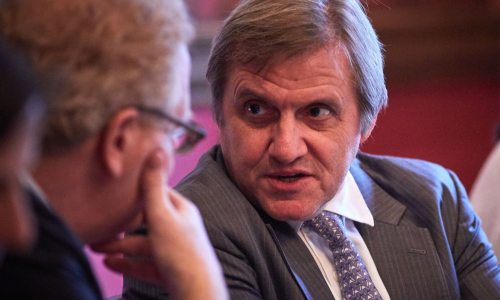 He was successively Chairman of KPMG, BT Group (2007-17) and easyjet (2010-13) and also served as President of the CBI between 2013 and 2015, when he was especially outspoken on Brexit. 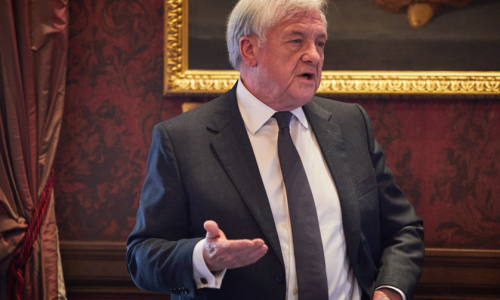 He is currently Chairman of the International Chamber of Commerce UK and consumer finance group NewDay, and Chairman of the Advisory Board at Engie UK. 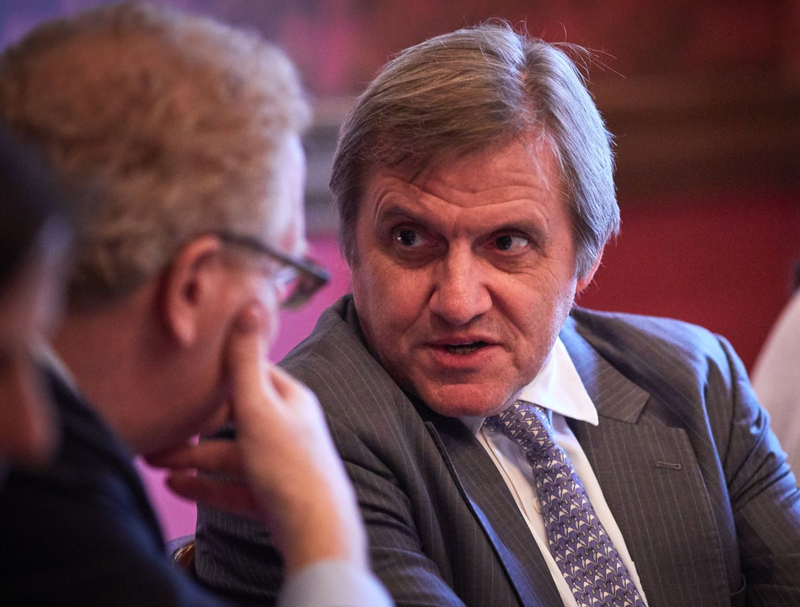 He gave a business perspective on implications of the Brexit outcome – whatever this might be. It was already clear that Britain had lost significant assets as a result of the decision to leave the EU, and that it would not recover them even in the event of a Brexit cancellation. In terms of what was going to happen next politically, a second referendum would only be definitive if it was a choice between Mrs May’s deal or Remain, as either can be implemented immediately. A general election would not solve anything. Meeting participants included Ruth Cairnie (Incoming Chair, Babcock; Independent Non-Executive Director, Associated British Foods), Edmond Alphandéry (Founder and Chairman of the Euro50 Group; Board Member and President of the Strategic Committee, Engie), Marie-Hélène Bérard (President, MHB S.A.S Investments and Consulting), Florence Gomez (Managing Director, French Chamber of Commerce in Great Britain), Steffen Hoffmann (President, Robert Bosch UK), Sir Malcolm Rifkind (Visiting Professor, King’s College London; Former UK Foreign Secretary), and Michael Cole-Fontayn (Independent Chairman, Association for Financial Markets in Europe).